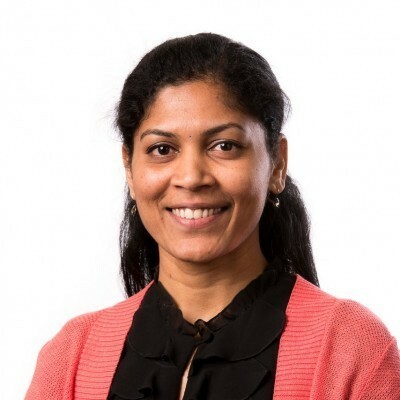 Renu Padhmanaban is an Information technology professional, leading software applications development and delivery services including implementation and support for the Guidance team since 2006. She is a Microsoft certified professional for web application development and has more than 12 years of experience in all areas of the software development lifecycle, working on end-to-end processes from scoping to commercialisation, especially in the healthcare domain. She has a wide range of experience and knowledge in programming languages C++, Visual Basic, C#, Visual Studio.Net technologies, SQL server and HL7 standards. She is a software architect, project manager, consultant, business analyst and HL7 integration specialist with special interest in delivering user centric, interoperable quality software applications. She successfully completed the Molecules to Medicine intern program in 2014. Within a short period of time after joining VIDS, Renu became the lead technical expert to manage Guidance development, implementation and support. She has successfully delivered new versions of Guidance application and deployed them in more than 60 hospitals across four states in Australia. She is an expert technical consultant in the team, writing successful new business cases analysing business needs and relevant technical assessment, contributing to the architectural design proposals and estimations. She has done technical assessment of existing in-house healthcare software applications from business development to commercialisation stage.